The most potent threat to Pakistan’s internal security in the late Nineteen Eighties and early Nineties was posed by militia from the Mohajir community. Originally formed as the Mohajir Quomi Movement (MQM), it is now split into two factions. The faction led by the founder Altaf Hussain was renamed Muttahida Quomi Mahaz and is commonly referred to as MQM (A). A breakaway faction, created in 1992, retains the original name Mohajir Quomi Movement – with the suffix Haqiqi which means real – and is commonly referred to as MQM (H). The two factions have been responsible for several incidents of urban terrorism even as the MQM (A) participates in Pakistan’s electoral process. After a series of strong measures taken by the State in 1998, the MQM (A) has largely reoriented itself into an exclusively political outfit. In its latest display of clout in Mohajir dominated areas, it called for a boycott of local body elections held in July 2001 and ensured a low turnout in areas dominated by its cadre. The MQM sought to portray itself, in its initial years as an organisation of Mohajirs. This ethnic term refers to refugees from India who settled in Karachi and other urban centres of Sindh province. They now constitute the largest segment in Sindh’s urban population. Largely natives of India’s Bihar and Uttar Pradesh provinces, this community maintains a distinct identity for itself. In the immediate post-partition period, the community formed one of the most influential lobbies in Pakistan having been closely associated with the movement for the country and its founder Mohammad Ali Jinnah. With the increasing power of the military over the State apparatus, the community found its pre-eminent position being increasingly usurped by the Punjabi dominated military-bureaucratic formation that effectively ruled Pakistan since Gen. Ayub’s coup in 1958. Violence has always accompanied the outfit’s political activities. It began with the first public meeting on August 8, 1986, which was accompanied by aerial firing, street violence and damage to public property by participants. Two months later, on October 31, rioting in Karachi and Hyderabad, another MQM (A) stronghold, left 12 persons dead. Altaf Hussain and ten other leaders of the outfit were arrested on November 2 that year which only increased the street violence in Mohajir dominated cities. On December 14, the outfit’s secretary general Dr Imran Farooq claimed that the situation can come under control only if Altaf Hussain is released. Almost on cue, violence flared up that night and the next day leaving 120 persons dead in Karachi. Violence continued, allegedly perpetrated by MQM, despite the outfit entering into an alliance with the Pakistan People’s Party (PPP) in 1988 and participating in a coalition government at the Federal level. The two parties had signed a 54 point agreement commonly known as the Karachi Accord just before the elections held in December that year. News reports suggested that most violence was between supporters of the MQM and the Jiye Sindh Movement, an organisation purpotedly fighting the cause of native Sindhis. Another rival with which the MQM frequently indulged in violent clashes was the Punjabi-Pukhtoon Ittehad (PPI), an outfit comprising of armed extremists from the Pukhtoon and Punjabi communities. Random attacks by armed activists of the warring groups on unarmed civilians were the major cause for casualties. In May 1989, the MQM walked out of the PPP led coalition in Sindh and five months later, from the federal government, accusing the PPP of failing to honour its promises outlined in the Karachi Accord. The press to was a victim of the MQM’s terror strategies. Several newspapers, including the Dawn,Jang, identified by the outfit as non-symphathetic to the ‘movement’ were targeted for enforced boycotts. Following reports of an imminent army crackdown on the outfit, Altaf Hussain left for UK on January 1, 1992 and has been in exile since. Despite the flight of its leader, the outfit’s terrorist arm continued to operate until 1998. Its political arm too faded into insignificance after the October 1999 coup in Pakistan. The mid nineties in urban Sindh was marked by consistent strike calls from the MQM which included an announcement in July 1995 that weekly strikes on Fridays and Saturdays would be observed. Most MQM strikes were accompanied by violence leaving scores dead in their wake. The outfit’s leadership, particularly Altaf Hussain, has been described by most analysts, as opportunists. The political platforms adopted by the outfit have been forwarded as evidence. After striking a deal, termed as the Karachi Accord, with Benazir Bhutto’s PPP, the outfit switched alliances and teamed up with Nawaz Sharief’s, Pakistan Muslim League (PML) in 1992. In Pakistan’s predominantly two party set-up, MQM which has time and again proved itself as the third largest political force, has swung between the two dominant parties and joined several ruling coalitions at the federal level and in Sindh. The elected local bodies in Karachi and Hyderabad have been overwhelmingly dominated by the MQM (A). May 15: An Anti-terrorism court in Karachi sentences two MQM-A activists to life for killing a police personnel on July 21, 1998 in Liaquatabad. May 2: 300 MQM-A workers are arrested from various locations in Karachi, Hyderabad and other cities throughout Sindh province. April 26: Two top leaders of the MQM-A are killed by unidentified assailants in Karachi. April 22: A Sindh court exonerates 11 MQM-A activists, including former Sindh Governor and two former Members of the Sindh Provincial Assembly (MPAs), of all charges in the April 24, 1995-Mir Garden case. Three persons were killed and two police personnel injured in that incident. April 19: MQM-A chief Altaf Hussain demands a new Constitution for Pakistan. April 13: MQM-A chief Altaf Hussain urges President Pervez Musharraf to grant ‘complete’ autonomy to smaller provinces, including Sindh. April 9: An MQM-A activist is killed by unidentified gunmen in North Nazimabad, Karachi. January 7: Two unidentified assailants kill an activist of the MQM-A in Karachi. December 28: An MQM-A activist is killed in Shah Faisal Colony, Karachi. December 9: Altaf Hussain claims that missing party workers reportedly arrested by law enforcement agencies have finally been killed. November 22: The brothers of a former MQM-A cadre, in a revenge attack kill, two MQM-A activists. They attack the MQM-A cadres after they find the bullet-riddled body of their abducted brother in Baldia Town, Karachi. November 11: Unidentified gunmen kill a former sector ‘commander’ of the MQM-A in Jauharabad, Karachi. October 10: MQM-A chief Altaf Hussain says his party condemns all forms of terrorism and killings of innocent people, whether it is in the USA or in any other part of the world. October 2: An MQM-A cadre is killed in an encounter with Karachi Police. September 28: An MQM-A activist is killed and another injured in an armed attack on Jamshed Quarters in Karachi. September 26: Nine MQM-A activists are injured in two bomb blasts in Karachi. September 5: A leader and 14 activists of the MQM-A are acquitted in different cases by the courts in Karachi. August 23: MQM-A deputy convener Shaikh Liaquat Hussain claims in Karachi that the party’s workers are being arrested and tortured. August 22: Three MQM-A cadres are arrested in Karachi in separate cases. June 6: MQM-A convenor Imran Farooq appeals to the Supreme Court to take suo motto action on a threat levelled by the Jaish-e-Mohammed (JeM) to assassinate MQM-A chief Altaf Hussain. June 3: MQM-A members of the suspended Sindh Assembly oppose the Federal government’s on-going arms recovery drive. May 31: Sindh High Court acquits nine MQM-A activists in former Governor Hakim Saeed assassination case following an appeal against their conviction pronounced earlier by an Anti-Terrorism Court. May 22: MQM-A co-ordination committee convenor Imran Farooq claims in Karachi that the Inter Services Intelligence (ISI) is indulging in ‘baseless propaganda’ against Altaf Hussain, and implicating him in the May 18-killing of Sunni Tehreek chief Salim Qadri. May 8: MQM-A deputy cnvenor Khalid Maqbool Siddiqi claims in Karachi that state agencies were responsible for the May 7-Karachi bomb blast in which one person was killed and nine others injured. March 24: Karachi anti-terrorism court acquits a former Provincial Legislator of the MQM-A and nine other party activists in a case on which a police personnel was killed on July 28, 1999 in the city. February 28: MQM-H chief Afaq Ahmad claims in Karachi that Interior Minister Moinuddin Haider is “patronising the London-based ‘terrorist group’. February 23: MQM-A chief Altaf Hussain offers to hold a dialogue with the Federal government. February 20: An MQM-A leader is acquitted in two cases by two different additional district and sessions courts in Karachi. February 17: Two MQM-A activists arrested earlier on October 9, 2000, in Gulistan-i-Jauhar, are sentenced to death by an ant-terrorism court in Karachi for anti-national activities. January 3: Senior MQM-A activist of Ranchor Lines, Karachi, Mohammad Shoaib, is arrested. January 2: MQM-A chief Altaf Hussain and 13 associates declared ‘absconders’ by Karachi court. December 22: An additional district and sessions court in Karachi declares MQM-A chief Altaf Hussain and three other activists absconders in a case pertaining to the killing of two persons during an MQM-A sponsored strike in Karachi in June 1995. December 20: A former MQM-A member and his brother were killed by two armed assailants in Liaquatabad, Karachi. December 15: Five MQM-A activists acquitted by a Karachi court in a case regarding an attack on police personnel during a shootout in Liaquatabad in 1998. December 8: Two MQM-A activists are killed by unidentified gunmen in Karachi. November 11: Six MQM-A activists are arrested from Sukkur for their alleged involvement in the November 6-bomb blast. November 6: Bomb explodes at the Karachi marketing office of the Jang group of newspapers. MQM-A cadre Iqbal Macha is prime suspect for the attack. October 29: MQM-A demands amendment to the Constitution of Pakistan. October 25: An MQM-A activist is killed by unidentified gunmen in Karachi. October 2: News report says 1,105 activists and supporters of MQM-A are in official custody and a committee would review all the cases. Government calls for a report from the High Commission in India on the visit of an MQM- A delegation to that country. September 21: An MQM-A worker is killed at a Karachi playground. July 9: An MQM-A activist in police custody, in Karachi, states that the top-leadership of the party has directed him to kill 28 fellow cadres for their suspected involvement in various crimes. July 4: A Karachi court issues arrest warrants against an MQM-A woman leader, Nasreen Jalil, and some other activists on charges of rioting and obstructing police in performing their duties. March 30: MQM-A convenor Imran Farooq alleges that a Pakistan Army officer had formed groups in connivance with Karachi police to kill MQM-A cadres. February 28: Widespread violence is reported in Karachi following a strike call given by Jeay Sindh Quami Mahaz and the MQM-A outfit to protest sacking of staff from the state-run Pakistan Steel as well as for the police ill-treating party supporters. January 17: Nine persons are killed and 25 others injured in a bomb explosion in Karachi. Police blame the MQM-A for the act and claim that 16 terrorists linked to the outfit have been arrested. MQM (A) denies the charge. November 26: Senior MQM-A leader Farooq Sattar is arrested after surrendering to the Military Intelligence. September 9: MQM-A secretary general Imran Farooq surfaces in London after being in hiding for seven years and claims his life is in danger in Pakistan. August 1: Seven MQM-A office-bearers, including a Member of the National Assembly, and two Members of the Sindh Provincial Assembly, resign from the “basic membership” of the party owing to “fundamental differences with MQM chief Altaf Hussain over policy matters”. July 18: MQM-A announces international hunger strike and protests inside and outside Pakistan to protest the “extra-judicial killings” of its cadres. January 30: Three Urdu newspapers, Jang, Amn, and Parcham, are charged with sedition for carrying an MQM-A advertisement seeking donations for “victims of police excesses” and to compensate those “killed, tortured or victimised by the police and other security agencies during their crackdown against the party”. 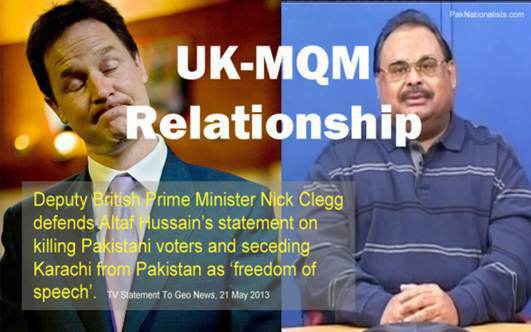 January 24: UK grants political asylum and residency to MQM-A chairman Altaf Hussain. Pakistan lodges protest. October 31: Following the MQM-A’s refusal to meet the Prime Minister’s deadline, Federal rule is imposed in Sindh and a massive crackdown is launched by security agencies. October 28: Prime Minister Nawaz Sharief accuses an MQM-A Member of the Sindh Provincial Assembly (MPA) and seven other activists of involvement in the murder of Hakim Saeed. Sharief sets a three-day deadline on the outfit to hand-over the assassins, failing which he threatens to call -off the alliance. October 17: Former Sindh Governor Hakim Mohd Saeed is assassinated by alleged MQM-A terrorists. September 20: MQM-A decides to resume support to Pakistan Muslim League at Federal level and in Sindh without joining the Ministry. August 26: MQM-A resigns from the ruling coalition in Sindh province. August 14: MQM-A Ministers in the Federal Cabinet resign protesting the government’s failure to protect the outfit’s activists. August 12: 10 MQM-A activists are killed by unidentified gunmen. June : 140 persons are killed during various instances of ethnic violence. April 30: Sindh Chief Minister Liaquat Jatoi withdraws all cases filed against MQM-A Legislators. April 18: MQM-A announces the continuation of the alliance with Pakistan Muslim League in Sindh. March 21: Six persons, including MQM-H leader Imtiaz Ahmed Khan and two relatives, are killed by unidentified gunmen in Karachi. Federal government asks Sindh government to furnish details on steps being taken to counter MQM-H imposed ‘no-go’ areas. March 19: MQM-A extends ultimatum to one month. March 17: MQM-A serves a 48-hour ultimatum on the Sindh Chief Minister to ensure the removal of ‘no-go areas’ in Karachi––areas that are the strongholds of the MQM-H.
February 28: 100 MQM-H members are arrested in crackdown launched after the February 22- Korangi-attack. February 22: Eight civilians are killed outside a mosque at Korangi, Karachi, in MQM factional rivalry. February 1: Sindh High Court acquits Altaf Hussain and 18 co-accused in the case of the abduction of an Army officer. January 10: Three persons, including a woman, are killed and five more injured in indiscriminate firing during MQM factions’ clash. October 2: Three persons are killed in factional rivalry in Karachi. September 27: MQM-H asks the British government to deport Altaf Hussain from London. August 14: MQM-A opposes legislation on terrorism. July 26: MQM-A renames itself as Muttahida Qaumi Mahaz. 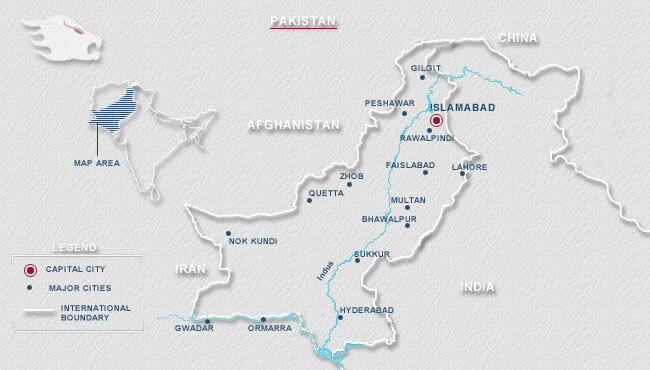 July 9: Three MQM-A workers are arrested on Pakistan-Afghanistan border. July 6: Four persons are killed in MQM-A violence in Karachi. June 18 : Government invites MQM-A for talks. June 17: Four persons are killed in factional rivalry in Karachi. Altaf Hussain asks workers to close down all the liaison offices of the party. June 10: 12 persons are killed in wave of violence in Karachi, allegedly perpetrated by MQM-A activists. April 16: Two MQM-H activists are killed by MQM-A in Karachi. April 12: Three MQM-H workers are killed and another injured in separate attacks by activistrs of the rival MQM-A in Karachi. April 1: Sindh government announces formation of a Compensation Committee to review cases of compensation for persons and families and their legal heirs affected during the period October 1993 to November 1997. February : MQM-A concludes an accord with Prime Minister Nawaz Sharief and joins the coalition government at the Federal-level and in Sindh. In the accord, Sharief agrees to institute a judicial probe into the allegedly deaths of MQM-A supporters in police custody or encounters or attacks by terrorists; he also agrees to grant compensation to the families of the deceased. January 20: MQM-A National Assembly candidate from Rahim Yar Khan Javed Mazari is arrested along with another cadre. January 18: Sindh government grants parole and releases MQM-A senators Aftab Ahmed Sheikh and Nasreen Jalil. October 10: United States Immigration and Naturalization Services (INS) refuses to grant asylum to three senior MQM-A leaders, including senior vice chairman Saleem Shahzad. October 5: Over two dozen MQM activists are arrested following a series of different encounters in different places in Karachi. August 21: Hafiz Osama Qadri, MQM-A leader and former member of the Sindh Provincial Assembly, is arrested. June 16: Karachi police arrest MQM-A cadres Azhar Sayyan––wanted in more than 50 cases––and Naseem Pajama, wanted in 27 cases. June 1: Two MQM-A terrorists are arrested in Karachi. April 12: MQM-A delegation goes to Geneva for United Nations Human Rights Commission (UNHRC) session. April 10: MQM-A cadre Nadeem Chita, carrying reward of Rs one million, is arrested from Azizabad, Karachi. April 9: Four MQM-A cadres, allegedly involved in 13 cases of murder, six cases of abduction and several other crimes, are arrested in Multan. April 2: Shamim Ahmed, MQM-A leader and Minister in the Sindh government announces the formation of another MQM faction. March 5: Two abducted persons are rescued from MQM-A cadres in Karachi. February 28: Three MQM-A workers reportedly confess of a plot to kill religious leaders with the assistance of a sectarian group. February 1: MQM-A leader, Ajmal Dehlvi warns government that the outfit would disrupt World Cup cricket matches to be held in Pakistan. Four MQM activists are arrested in Saudi Arabia. January 29: MQM-A demands reconstitution of the government team conducting negotiations with the outfit. January 17: Federal government grants Rs. 500 thousand for a proposed library being built by the MQM-A. Rockets are fired at MQM-H headquarters in Landhi. MQM-H chief Afaq Khan accuses the rival MQM-A for this attack. January 4: MQM team meets US Ambassador to Pakistan Johan Rolzeman. January 3: Three civilians are killed during an MQM-organised strike in Karachi. MQM-A lays down new conditions for talks with the Federal government. September 8: Five MQM-A activists are arrested in Karachi. August 15: Top MQM-A activist Tariq ‘Commando’ is arrested in Karachi. August 6: Top MQM-A activist Fahim ‘Commando’ and three of his associates are arrested in Karachi. August 3: In retaliation to the August 2-killing of top MQM-A cadres, 24 persons, including a Sub-divisional Magistrate, are killed in Karachi. August 2: Top MQM-A terrorist Farooq ‘Dada’ and three of his associates are killed in Karachi. July 17: Federal government and MQM-A agree to refrain from making provocative statements. July 11: Talks begin between the Federal government and MQM-A. July 5, 6, 13 & 24: 10 MQM-A activists are killed and six more arrested in a series of raids on MQM-A bases in Karachi. A large cache of arms and ammunition is seized. June: 10 Sindhi-speaking officials are killed by alleged MQM-A activists in Karachi. MQM-A activists attack police and civilian targets employing guns, rocket and bombs in Karachi. June 24: A train carrying arms for SFs is looted and burnt down by MQM-A activists. June 15: 24 persons, including 10 Sindhis, are killed in Karachi. June 4: 10 persons are killed by MQM-A activists. May 22: MQM-A observes Mourning Day. May 18: 15 persons are killed in terrorist attacks in several parts of Karachi. May 5: US Embassy announces that issuing visas from Karachi would be stopped because of the prevalence of terrorist violence in the city. November 11: Indiscriminate firing by suspected MQM-A gunmen kills eight persons, including an Air Force officer in Karachi. September 26: Three MQM-A activists are arrested and a large cache of weapons is seized in several raids on their hideouts in Karachi. September 17: Eight persons are killed in indiscriminate firing allegedly by MQM-A gunmen. August 8: Altaf loyalists in Karachi allegedly kill a top-MQM-H leader. July 13: Six persons are killed in an attack on a bus in Karachi. June: Altaf Hussain and 19 other MQM members sentenced in absentia by a Karachi court to 27 years imprisonment for abducting and torturing an Army intelligence officer, Major Kaleem, and his four associates in June 1991. June 28: Suspected MQM-A activists kill seven police personnel, including an officer who had arrested several MQM-A gunmen. June 20: A court in Karachi issues non-bailable warrants against Altaf Hussain in connection with the murder of a Senator in May 1990. June 4: MQM-A releases Charter of Demands. March 6: Suspected MQM-A activists kill five security force (SF) personnel, including an Army Captain, in Karachi. May 1: Azim Tariq is killed allegedly by MQM-A cadres. February 10: 13 persons are killed in a bomb attack in Karachi. November 27: MQM-A Chairman Azim Tariq comes over-ground and disowns Altaf Hussain. July 19: Sindh Chief Minister disassociates himself from MQM-A. June 29: MQM-A members resign their seats in the Federal and Sindh assemblies. June: MQM dissidents led by Afaq Ahmed and Aamir Khan formally launch the Haqiqi (real) MQM, subsequently known by its sobriquet MQM (H). June 27: MQM-A breaks away from the ruling alliance at the Federal level. June 22: Cases are filed against 13 MQM-A leaders, including Altaf Hussain. June 19: Army is deployed in Karachi and curfew is declared to prevent factional clashes within MQM. May 28: Federal government launches military operation against “dacoits and terrorists” in Sindh. May 19: The Altaf Hussain faction of MQM clashes with rebels in the party and a series of killings and abductions follow. January 1: Altaf Hussain leaves for London on a self-imposed exile. February 21: Federal government postpones indefinitely the process of collecting population census. April 30: Two Japanese students allegedly abducted by MQM activists for ransom are released after 45 days in captivity. February : 14 persons are killed and 26 more inured in separate incidents of violence. January 3: The Jam Sadiq-led MQM government in Sindh decides to set up four special courts. August 22: 27 persons are killed and 55 more injured in firing on MQM camps in Karachi. July 13: 45 persons are killed in a bomb blast in Hyderabad. June 6: President Ishaq Khan proposes all-party conference on Sindh situation. MQM refuses to participate. May 9-10: 16 persons are killed in Karachi violence. April 12: MQM rejects government’s offer for peace talks. April 7: Altaf Hussain commences fast-unto-death. March 31: Karachi University reopens. February 6-9: 64 persons are killed during an MQM-organised anti-government demonstration in Karachi. January 30 –February 3: 18 persons are killed in anti-government demonstrations in Hyderabad. December 12-25: 21 persons are killed in Hyderabad violence and nine others in Karachi. October 23: MQM unilaterally pulls out of the Karachi Accord and quits the ruling coalition at the Federal level. October 13: Two police officers are killed, even as Altaf Hussain meets President Ghulam Ishaq Khan in Karachi. September 22: Sindh Deputy Inspector General (DIG) of Police says MQM is a terrorist outfit and not a political organisation. August 13: Seven persons are killed by suspected MQM gunmen in Karachi. July 16-23: 10 persons are killed in violence in Hyderabad. June 1: Three Federal Ministers meet MQM leaders in a bid to save Karachi Accord. May 30: Talks are held between the then Punjab Chief Minister, Nawaz Sharief and Altaf Hussain for political co-operation. May 1: Three MQM Ministers resign from the Sindh provincial government. April 6: 10 persons are killed and 40 others wounded in incidents of firing in Hyderabad. March 18: 10 persons are killed and 15 others injured by unidentified gunmen in Karachi. February 23: Karachi University vice-chancellor’s office is burnt down by suspected MQM cadres. December: Benazir Bhutto is elected Prime Minister with support from the MQM. MQM joins the coalition government at the Federal level and in Sindh. November: General Elections held in Pakistan following Gen. Zia’s death. Benazir Bhutto’s Pakistan Peoples Party (PPP) concludes a political accord with the MQM, known popularly as the Karachi Accord, to contest jointly. October 1: Suspected MQM activists kill 90 Sindhis in separate attacks in Karachi. August 30: MQM activists kill a Karachi University student. July 21: Women MQM activists storm a Karachi police station and free 18 arrested persons. July 17: Karachi Mayor Aftab Sheikh is attacked. Eight persons are killed in riots that followed. April 30- May 9: 31 persons are killed in Karachi street violence. March 1: Four persons are killed and several others injured during violence in Karachi. January 18: Four persons are killed in clashes between MQM and PPI activists. January 10: Five persons are killed in stabbing and other incidents of violence; several others are injured in Karachi. The Army is called in. November: MQM wins a majority of seats at the local-level elections in Karachi and Hyderabad, and emerges successful in other urban areas of Sindh. October 31: Two persons are killed and 85 others injured in violence during an MQM-strike in Karachi. Senior police officials are injured in violence in Hyderabad. September 29: MQM spokesperson says party regards Khan Abdul Wali Khan and Abdul Ghaffar Khan as the true representatives of Pukhtoons. August 30: Altaf Hussain courts arrest in Karachi. August 28: Sindh government orders arrest of August 26-rioteers. 160 persons, including leaders of the PPI, are arrested but Altaf Hussain escapes. August 26: Nine persons are killed and 80 others injured in Karachi riots. July 22 – August 30: 22 persons killed and 300 others injured in clashes between MQM and a rival group, Punjabi-Pukhtoon Ittehad (PPI). Besides, five police personnel are killed and 38 others injured during riots in this period. June 21: MQM Chairman calls for boycott of Jang for its “anti-Mohajir policy”. The newspaper’s office in Hyderabad is burnt down. May 21: One person killed in riots over the arrest of MQM workers in Karachi. February 20-21: 16 persons injured in street violence in Karachi. December 20: MQM Chairman Azim Ahmad Tariq demands justice for Mohajirs and advises Pakistan President Zia-ul Haq to issue arms licenses. December 14: 50 persons killed in Karachi; The Army is called-in and curfew declared. December 9: One person killed and 40 injured during clashes following MQM’s call for strike in Karachi. November 21: 30 persons injured in firing in Karachi. November 18: MQM cadres fire in the air and disrupt a cricket match at Hyderabad’s Niaz Stadium. November 3: 10 persons killed in hand-grenade attacks and six others in street violence in Karachi. November 2: Altaf Hussain and 10 other leaders are arrested on charges of attempt to murder and rioting. 72 other activists arrested with arms and explosives in different areas of Karachi. October 31: 12 persons killed during riots in Karachi. Riots spread to Hyderabad where seven persons are killed. 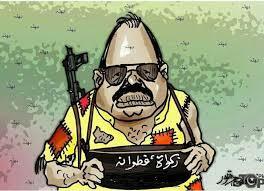 October 25: Altaf Hussain says in Hyderabad, Sindh, that Mohajir youth should “collect arms. If our rights are not given to us, we will use every kind of force”. August 8: MQM’s first public meeting at Karachi’s Nishtar park is marked by aerial firing, street violence and damage of public property. March 18: Mohajir Quomi Movement (MQM) is launched. Altaf Hussain founds the All Pakistan Mohajir Students Organisation (APMSO) in Karachi.